Kelly Longwell is a Director in the New Orleans office of Coats Rose, where she concentrates in the areas of real estate, affordable housing and taxation. She has represented developers and investors in a wide variety of projects including hotels, apartment complexes, office buildings, residential condominiums and retail commercial space. 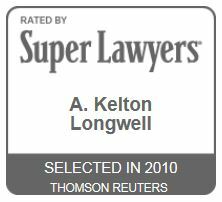 Kelly has been selected for inclusion to the Best Lawyers in America list for the years 2005-2018 (Woodward White, Inc.) for Real Estate Law. Kelly has experience in real estate development, corporate and partnership taxation and tax-exempt organizations. 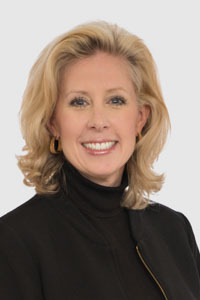 Her experience with real estate development has focused primarily on representing and advising private developers and investors as to federal tax incentives, including the historic rehabilitation tax credit, New Markets tax credits, the low-income housing tax credit, facade donations and real estate syndications. In addition to her work with federal tax credits, Kelly has been involved in the structure of various real estate transactions, with an emphasis on maximizing the tax benefits. The diverse structures utilized by the parties to the transaction include Section 1031 tax-free exchanges of property, sale/leaseback transactions, tax increment financing, and equity syndications. “Behavioral Health Care Center to Make New Home in Historic New Orleans Auto Dealership,” published in The Novogradac Journal of Tax Credits on June 7, 2018. “Experts Discuss Short-Term, Long-Term Housing Disaster Recovery Considerations,” published in The Novogradac Journal of Tax Credits on December 4, 2017. Coats Rose Attorneys Named to 2016 Best Lawyers in America© List Published by Woodward White, Inc.